Your source for computer, laptop and photographic equipment service and sales! Our services include: Major and Minor Laptop/Desktop Repairs, Camera Repairs, Data Recovery, OS Recovery, Virus Removal, Virus Protection, Data Removal, Battery Disposal, and Laptop Computer Recycling. Systems include Windows, Linux, and Mac operating systems. Travel west on University to Valley Drive. Turn right (northwest) and go to South Main Street. Turn right (north) and go north past Boutz road and just beyond the Sands Motel. Alternate: Travel west on University Avenue to South Main Street. Turn right (north) and go north past Boutz Road and just beyond the Sands Motel. 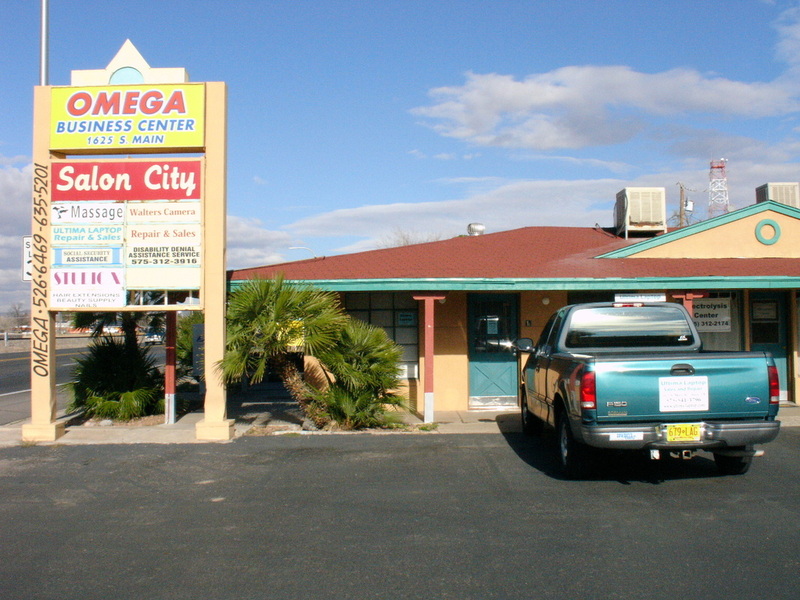 Omega Business Center is located on the right hand side two blocks south of the intersection of South Main and Idaho (Avenida de Mesilla).